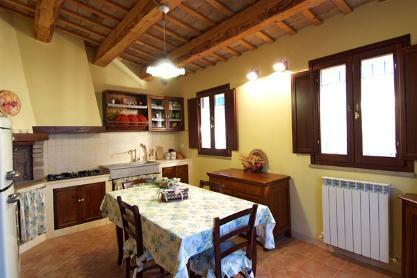 A wonderful country villa immersed in complete peaceful harmony in the wonderful Le Marche countryside yet only 10 minutes to the coast - the best of both worlds. 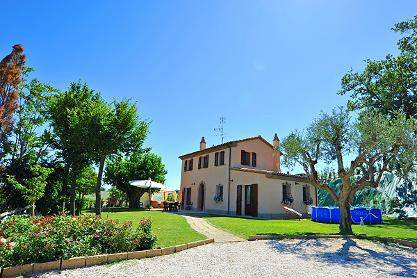 Guests will feel home from home in Villa Mondolfo which is immersed in a country setting with panoramic views from the middle ages being the same today and close by is Mondolfo, San Costazo and Stacciola. Villa Mondolfo has been recently restored in respect of the traditional architectural rules and by using old materials as bricks for the inside and outside floors, wooden planks and tiles for floorings. 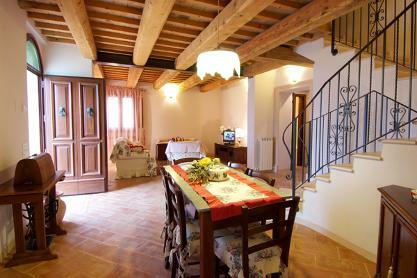 Villa Mondolfo is disposed over two floors with a total of about 120 m² . 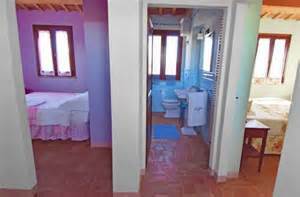 The accommodation capacity is 7 people plus a cot The villa has internet access. 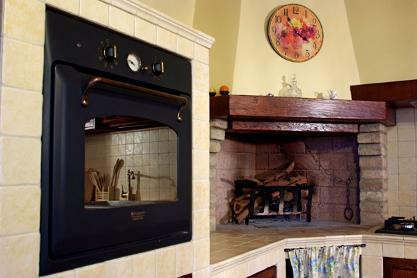 decoder) , dining area with table ; a fully fitted kitchen with café maker, microwave, toaster, fridge freezer, electric oven and hob with 5 burners and fireplace. 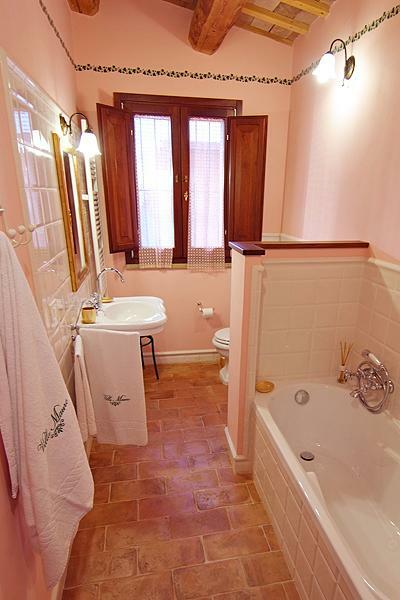 ; full bathroom with bathtub ; laundry area with sink and washing machine . bedroom with double bed ; full bathroom with shower. 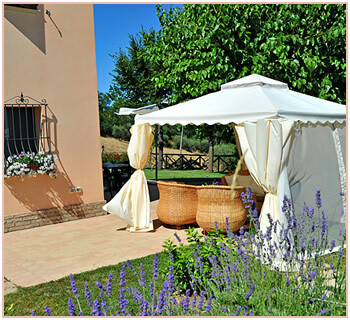 The large outdoor paving allows you to relax , but also to have lunch in the shade of an ancient mulberry tree , and a gazebo with garden chairs We offer our guests an outdoor barbecue . Space for 3 cars. 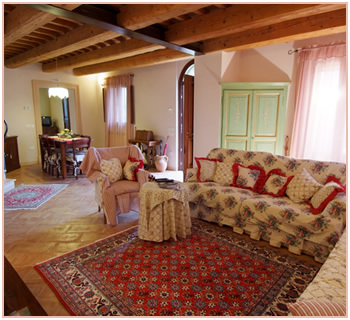 In the summer the villa is equipped with a small swimming pool for children (diam. 3.60 m - 0.60 m height ) on the side of the house. For your shopping needs you have about 700 meters a small grocery store , some 4 km away is a shopping center. The town of Mondolfo is 1 km away , while the town of San Costing is 2 km away where you can find, municipal offices , police, post offices, banks , shops and supermarkets , typical restaurants offering a wide range of authentic local cuisine. 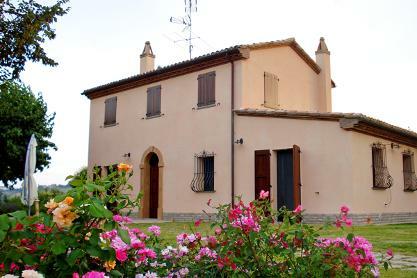 Villa Mondolfo is located in a fantastic area, covering the range of coast, country and mountains. . A few kilometers away there Blue Flag beaches - , Marotta nearest beach , Fano , Senigallia, San Bartolo Natural Park with beach. Also Vallugola Conero Riviera ) , historic towns , medieval castles , monuments and Roman churches ( Fano, Mondavio , Gradara San Marino , Urbino, etc. ) There are many theatrical and musical events , fairs, markets, art exhibitions, food and wine and the taste of local dishes by our fine wines - for toddlers and kids , amusement parks of all types ( Aquafan Fiabilandia ) . For those who love nature, unforgettable walks in the countryside , hills, caves and stunning mountain areas of the Apennines ( Furlo , Frasassi ) .